If you’re going to tackle an Icelandic winter, you’d better do it properly. 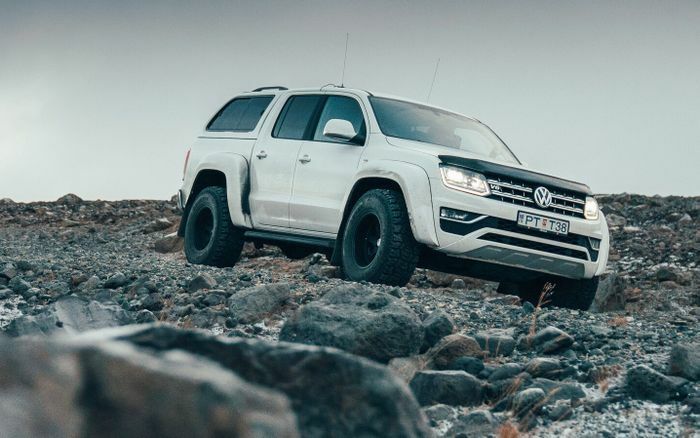 Volkswagen has done just that with a (sadly) one-off Amarok. 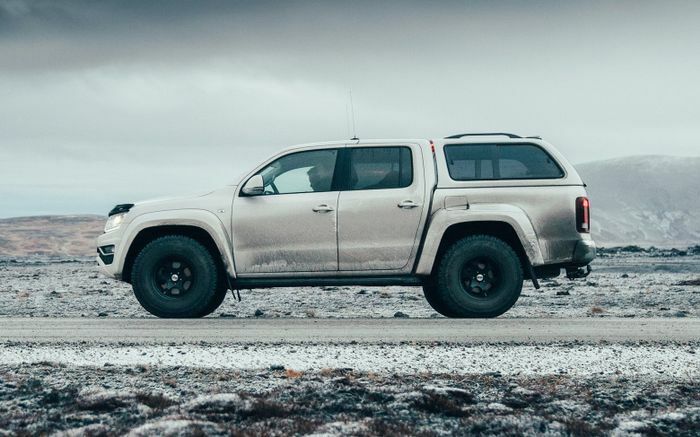 Converted by the specialists at Arctic Trucks, who have also tweaked the Isuzu D-Max and Nissan Navara, the Amarok AT35 bears all the modifications it really needs to master the snow, ice and rock of the far-northern country at this time of year. That starts with a neat 25mm suspension lift at both ends. Beneath vast new fibreglass arches sit larger wheels smothered in 315/70/17 all-terrain tyres. Each has a new, larger mud flap behind it, to stop chunks of ice being thrown out behind. On the inside there’s the stuff you might expect, like a fire extinguisher, VHF radio, toolbox, huge jack, first aid kit and defibrillator, among other useful goodies, but let’s be honest: we’re all most interested in the coffee machine. Sadly, we don’t have any pictures of the interior but a hot cappuccino sounds like just the tonic to fight the sub-zero temperatures outside the cabin. The engine is unchanged from the standard pickup’s 221bhp diesel V6. 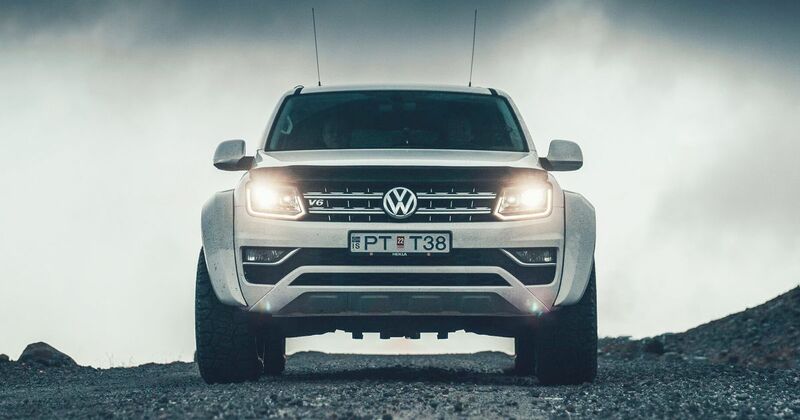 The AT35 can still climb a 45-degree slope, carry 1154kg and use VW’s Hill Descent Assist. 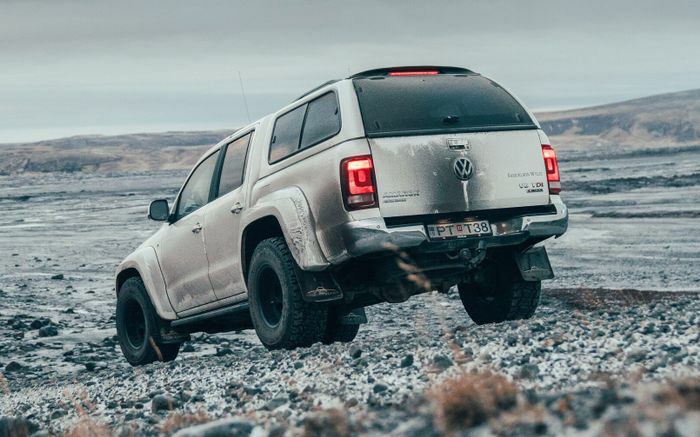 As useful as the finished article is in Iceland, where it’s now working as a support truck for winter driving expeditions, even Volkswagen itself says these sort of mods are overkill for the UK.